Debris covers dramatically reduce winter cleaning, reduce pool algae and increase filter media life. 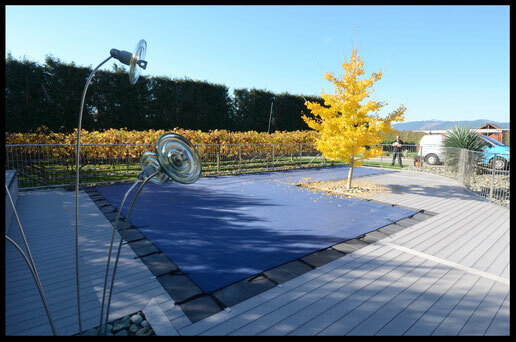 Tensioned across the pool with webbing straps & hooks to prevent sagging mesh, the debris cover allows water through but stops the majority of dirt and rubbish. They are an ideal winter cover. Winning an Award of Excellence at the 2014 OFPANZ Annual Awards Ceremony - our debris covers look spectacular & do a great job. Protection against ultra violet light due to material containing UV inhibitors.